Samson's Carbon 49 USB MIDI Controller makes musical performance and production accessible to everyone. For seasoned musicians and young creators alike, the Carbon 49 offers versatile, easy-to-use features in a compact, lightweight controller that's well-suited for the stage and studio. With dedicated Transpose and Octave buttons, you can change the key of any given instrument, as well as expand the keyboard to its full range, without using any sub menus or shift keys. With all of these comprehensive features, not to mention classic Pitch Bend and Modulation wheels, the Carbon 49 puts a wide range of musical expression and tone manipulation at your fingertips. Take control of your music software with the Carbon 49's assignable data encoder and volume slider. For easy editing, players can use the 'Edit' key to adjust up to 14 performance-related control parameters. Also, the Carbon 49's three-digit, seven-segement LED displays the behavior of every function in real-time. For added versatility, the Carbon 49 includes traditional MIDI Out, Sustain pedal input and USB connections. Bundled with the Carbon 49, Native Instruments' Komplete Elements software offers a comprehensive selection of studio-quality sounds, effects and tools for modern music production, composition and sound design. With over 3GB of samples, Komplete Elements provides you with more than 1,000 premium sounds and three mighty player engines - all carefully compiled to provide a strong toolkit for both stage and studio. 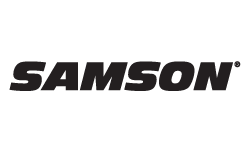 Same Day Music is an authorized dealer of Samson products.